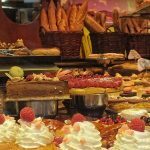 From 22-24 September 2017, France celebrates the annual ‘Fete National de la Gastronomie’. It’s a nationwide annual festival of French cuisine, now in its seventh year. The idea was born when the gastronomy of France became UNESCO listed under the banner of Intangible Cultural Heritage of Humanity. 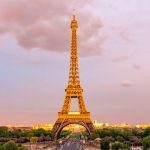 All over France, for this exuberant celebration of French cuisine there are three days of national and festive celebrations. In 2016, this gastronomic festival counted 10,525 events in France and abroad. With nearly 300,000 professionals involved, this is really something to get your teeth into! 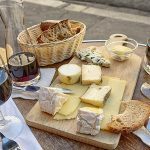 The hill top town of Montreuil-sur-Mer in northern France is going all out this year to celebrate its gastronomic delights and to share them with visitors. Conceived in 2016 La Destination Gastronomique is a collection of more than thirty shopkeepers, hoteliers, restauranteurs and chefs. They live and work in and around the historic, gastronomic and bucolic town of Montreuil-Sur-Mer. Located in the Pas-de-Calais, 30km south of Boulogne-sur-Mer, and with a population of just over 2,000 inhabitants, there is nowhere within a 150km radius that can compete with the choices available to visitors. From the Michelin-starred super chef Alexandre Gauthier to prize-winning pâtissiers, Montreuil offers a set of beguiling choices to suit all budgets. 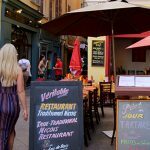 La Destination Gastronomique and its members – from restaurants and hotels to shops and market stall holders will be involved in this year’s Fete de la Gastronomie. They’ll be creating special dishes, highlighting the local products that take you to the “heart” of their expertise. You’ll see the sign for participants everywhere you go (such as la Cave de Montreuil wine shop above) and know that they’ll be putting on a special event during the gastronomic event. And it won’t be the only special event this year these food lovers put on. A weekend Christmas event is planned, featuring an all-day wine tasting in the historic Montreuil Arsenal, a dinner cooked by Alex Gauthier, Christmas carols and a Sunday Christmas market (details on their website soon). If you love great food, fabulous markets, gorgeous gourmet shops and an oh so pretty town – then head to Montreuil-sur-Mer for this awesome weekend event and – bon appetit!